A bridal shower is a very special opportunity to celebrate a woman. It is a form of rite of passage marking the beginning of a life of intimate communion. I see this event as a wonderful opportunity for all women invited to celebrate their bride-to-be and make her feel special. I like to custom design the bridal shower specifically to what the bride and her particular group of guests want out of this event. While a bride may prefer a more spiritual ceremony another may prefer a Tantric play party or even a combination of both. Just give me a call and we will co-create a very special event. Whichever option you decide we will have a great time! “I asked Maryse to create a very special evening for myself, my bridesmaids and my closest girlfriends two days before my wedding. I had wanted to have a bridal shower but I craved something different! I wanted to celebrate my journey towards marriage, relax and create a powerful bond with all of the women that participated. 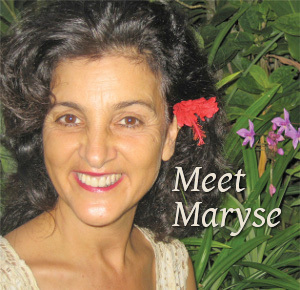 I felt very lucky to have met Maryse several months prior as she really understands the powerful meaning of sisterhood, celebration, ritual and ceremony. We worked together to plan an evening which turned out so amazingly well! Maryse really understood my need to combine different elements, both tradtional, non-traditonal and very spiritual aspects to create a wonderful experience for all of us to share. Maryse helped me plan the ambiance (lots of candles, flowers, exotic foods, to honor our goddess within of course! )and she planned an entire program for me. She did this by creating a circle in my living room, so all of the women were sitting on pillows side by side. She took us through a wonderful prayer which was very tribal, a smudging using white sage and an incredible blessing for me where she had asked all of the women to prepare something to say, read or show me (this was all about love and friendship!). We also did a tantric heart gazing meditation and we finished up with some sensual dance which was so much fun. Share the post "Bridal Shower Ceremony and Tantra Play Party"